Vianery Cabrera was one of the students involved in this problem. 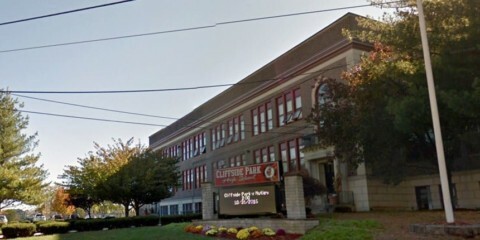 This event took place two weeks ago in cliffside park high school placed in New Jersey. The teacher said US soldiers are ¨not fighting for your right to speak Spanish — they’re fighting for your right to speak American.” The school didn’t want to give any information about the teacher or the incident, but the student took a good step and protested for their rights. They protested by walking out of class and the school. Ìn my opinion, I think the teacher made a bad choice of words out of frustration, or maybe sheś just racist. The way I see it, we are in a free country where there is no official language and we can speak whatever language we want. I have experience with this a bilingual teenager. One day I went to a summer class and I was talking to some friends during the class. They knew how to speak Spanish, so we spoke that way. The teacher actually said something similar to this other teacher: ¨This is America. Speak English.” Imagine being a bilingual person and someone telling you can only speak one of those languages. It would make you feel uncomfortable speaking your mother tongue. The message is that Spanish is not as good. Speaking American by Vanessa is licensed under a Creative Commons Attribution-ShareAlike 4.0 International License.